Mercedes M. Yardley's Pretty Little Dead Girls: A Novel of Murder and Whimsy is a dark, lovely fairy tale with lyrical language and a high body count, and features a cover by Hugo award-winner Galen Dara. Includes "Oliver Bloom" by Ryan Johnson, a short story featuring characters from Pretty Little Dead Girls. Bryony Adams is a pretty little dead girl in the making. You see, Bryony is somehow fatefully marked for murder. Friends, family, even strangers immediately understand Bryony’s dark fate. And while this makes Bryony special, treasured even, it also makes her desirable prey. Pretty Little Dead Girls is the curious tale of delicate, almost mystical, Bryony and how she navigates a life she’s never meant to have. 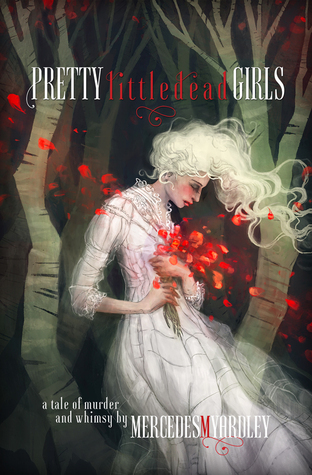 Pretty Little Dead Girls is one of the more original and engaging works I’ve recently read. The narrator breaks the fourth wall throughout and continually engages the reader directly while predicting their reactions, questioning their assumptions, and playing with their emotions. While it’s certainly not a traditional technique, it lends a creativity and whimsy to the story. The writing is both poignantly beautiful and darkly humorous. At times, Bryony’s story is violent and tragic, however, the tone of the story remains quaint and dreamy; a kind of southern gothic style. I highly recommend this modern fairy tale for anyone looking for a change of pace. Its memorable characters and dark storyline are hauntingly entertaining. Hi. I’m Mercedes. I have two broken laptops, three kids, a husband and no time to write, although I try my very best. I like to write stories. I like to write poems. I like to write essays and sometimes they’re funny, sometimes they aren’t. 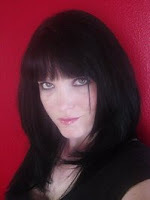 I’m the author of the short story collection Beautiful Sorrows, the “serial killers in love” novella Apocalyptic Montessa and Nuclear Lulu: A Tale of Atomic Love, the BONE ANGEL trilogy, Pretty Little Dead Girls: A Novel of Murder and Whimsy, and the Bram Stoker Award winner Little Dead Red. I specialize in the dark and beautiful. Pretty Little Dead Girls sounds amazing! What a great review. I'll put this book on the top of my list!